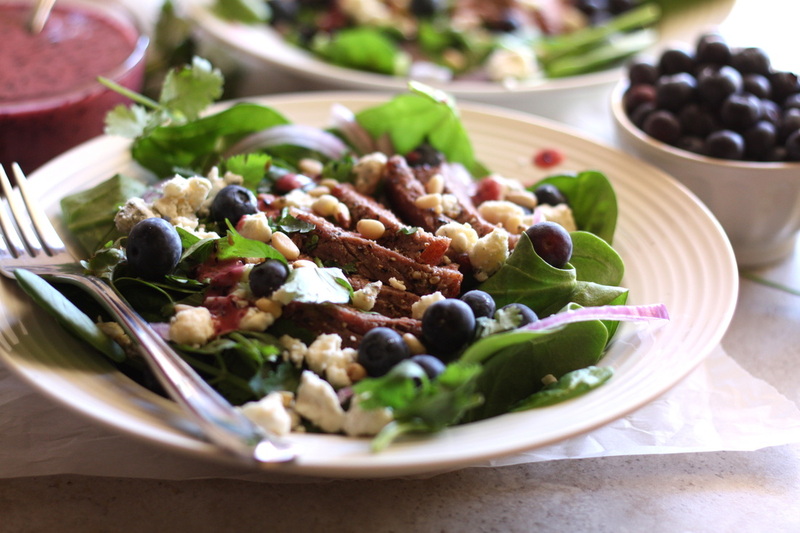 Not many meals come together more quickly than a salad — it's the perfect meal to throw together when you don't have much time or the thought of using your oven in the sweltering summer heat is more than you can bear. 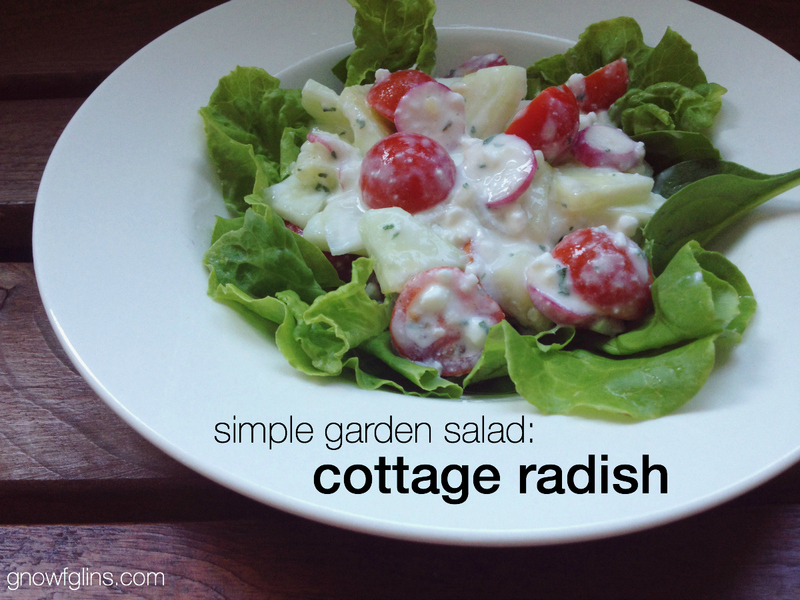 Salads are also a smart way to use up an abundance of greens, tomatoes, and other veggies from your CSA or garden. 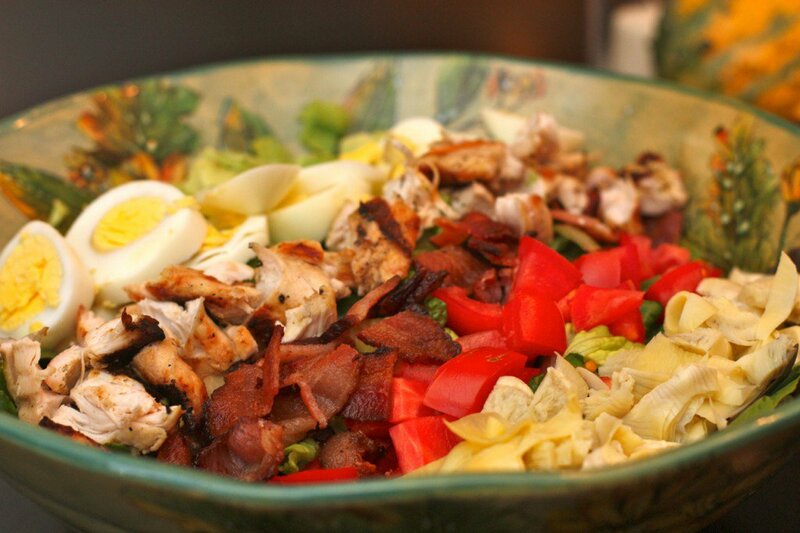 The best thing about these salads? They're all so packed with healthy fats and protein that you won't need to make anything else to go with them. They are so nourishing and filling that each one is a meal on its own! 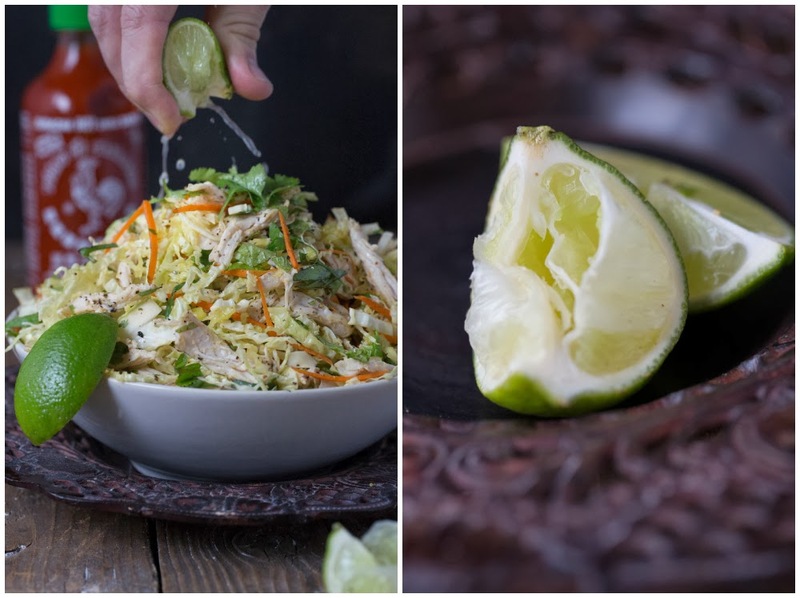 Vietnamese Inspired Chicken & Cabbage Salad (Paleo). Via urbanposer.blogspot.com. 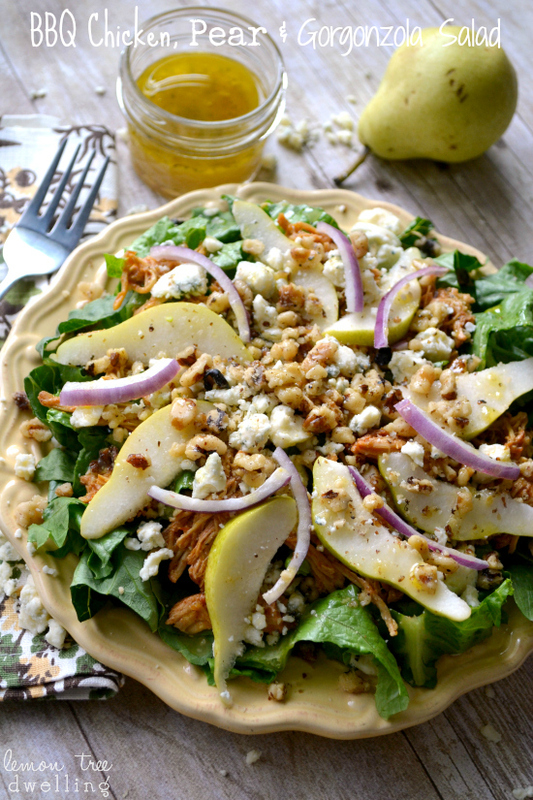 Fresh greens topped with shredded BBQ chicken, sliced pears, chopped walnuts, and creamy Gorgonzola. Via lemontreedwelling.com. A new interpretation of a classic dish, adapted to use healthier ingredients. Via TraditionalCookingSchool.com. 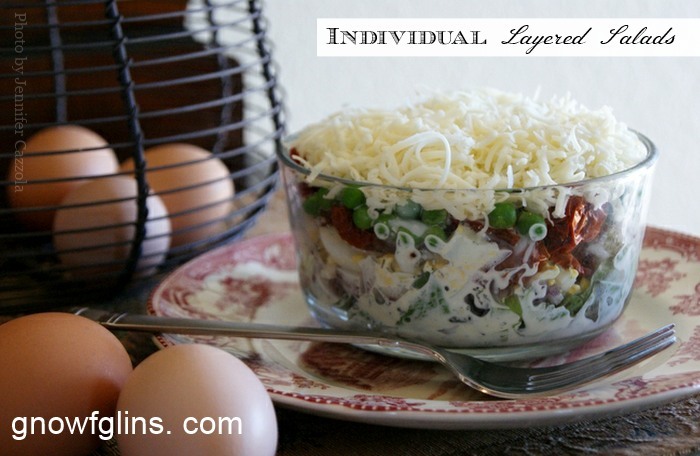 By topping the greens with the vegetable mixture in this salad, you get a lovely presentation and greens that stay crisp until they hit your mouth. Via TraditionalCookingSchool.com. 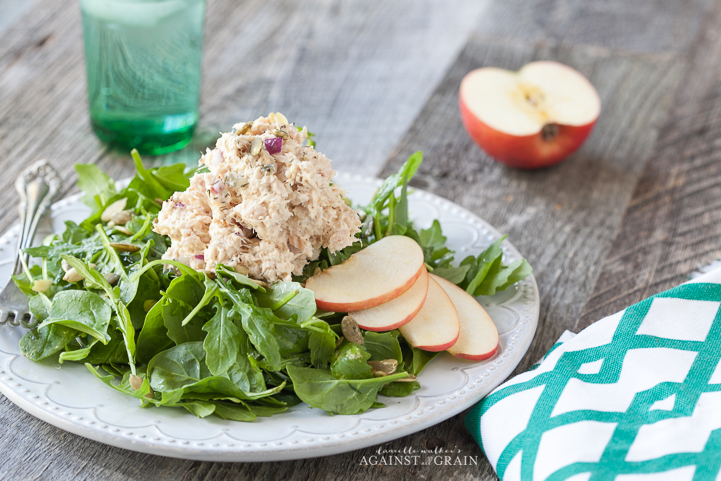 Light and healthy but so flavorful! Via lemonsforlulu.com. 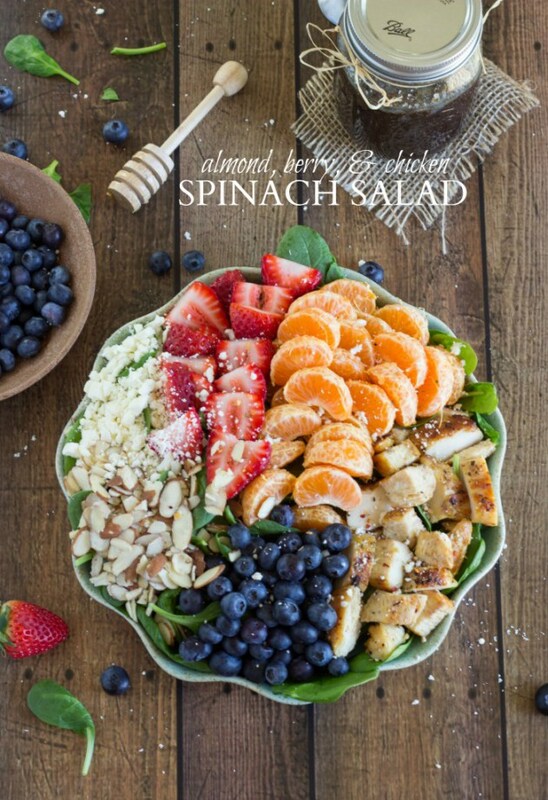 A healthy and incredibly simple spinach salad topped with chicken breast, strawberries, blueberries, toasted almonds, feta cheese, clementines, a squeeze of lemon, and a balsamic vinegar dressing. Via chelseasmessyapron.com. Everyone in the family will be happy to eat this salad because it’s loaded with hearty ingredients. Via againstallgrain.com. 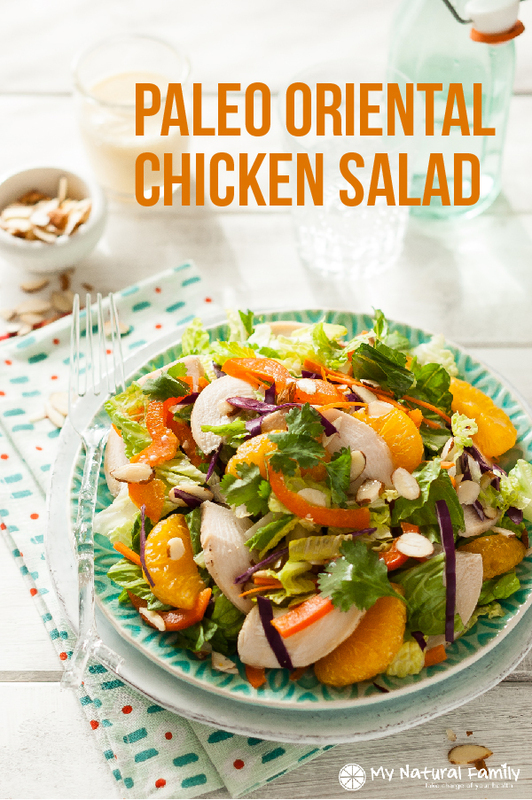 There is nothing better than a crisp, fresh chicken vegetable salad. Summer is here and it's salad season! Via agirlworthsaving.com. Don't feel like cooking or in a rush? 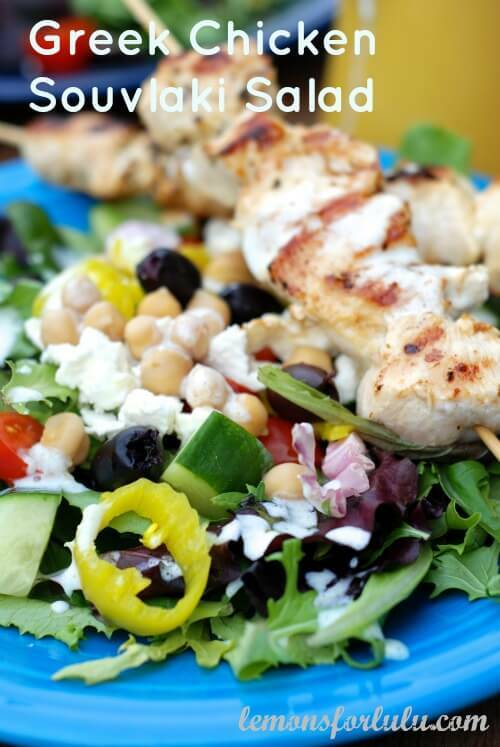 This could be your go-to salad! Via againstallgrain.com. 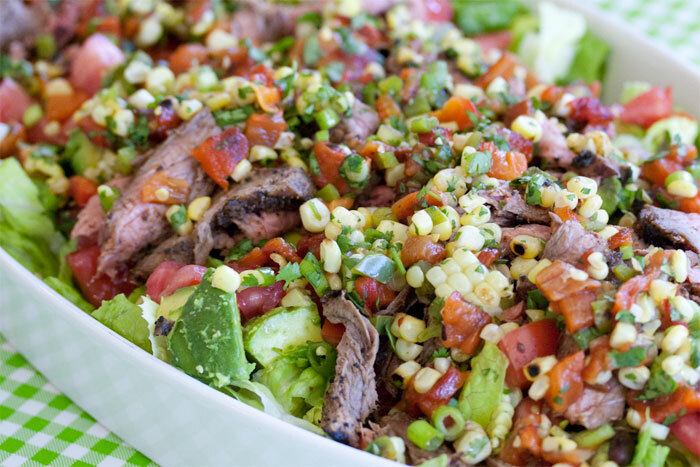 This is an ultimate summer steak salad, full of ingredients just begging to be picked up fresh at the farmers’ market. 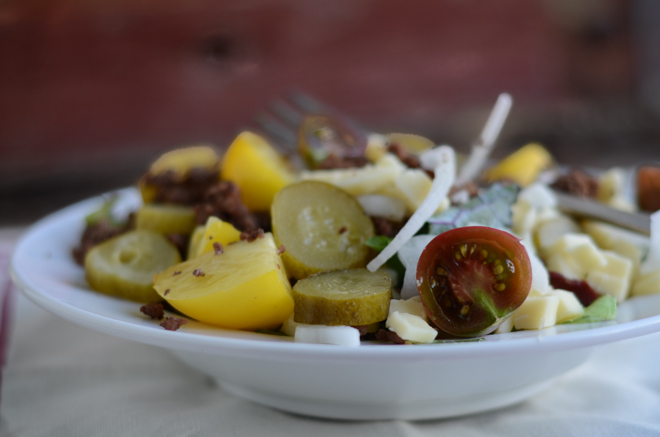 It’s a hearty dinner salad, but also makes great potluck or picnic fare. 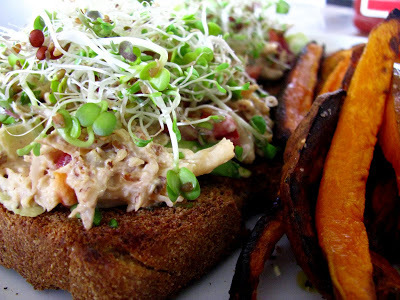 Via cook.nourishevolution.com. Hungry? Tired? Want something immediately? You'll love this super-simple, never-fail dinner salad. Via nourishedkitchen.com. 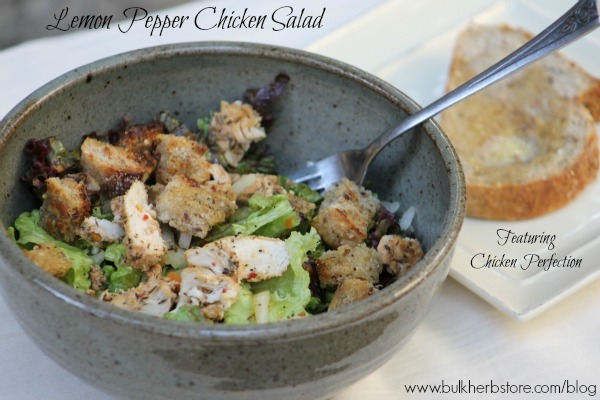 Mix up this delicious chicken salad to put on greens or use on your favorite bread. Via theelliothomestead.com. 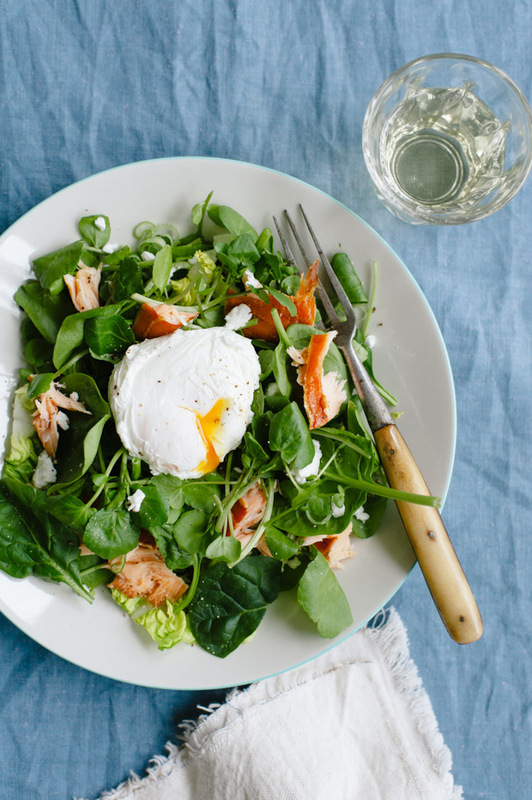 This salad is a satisfying, yet light and cool, main dish and can boast of including virtually anything you’ve got on hand. Via TraditionalCookingSchool.com. 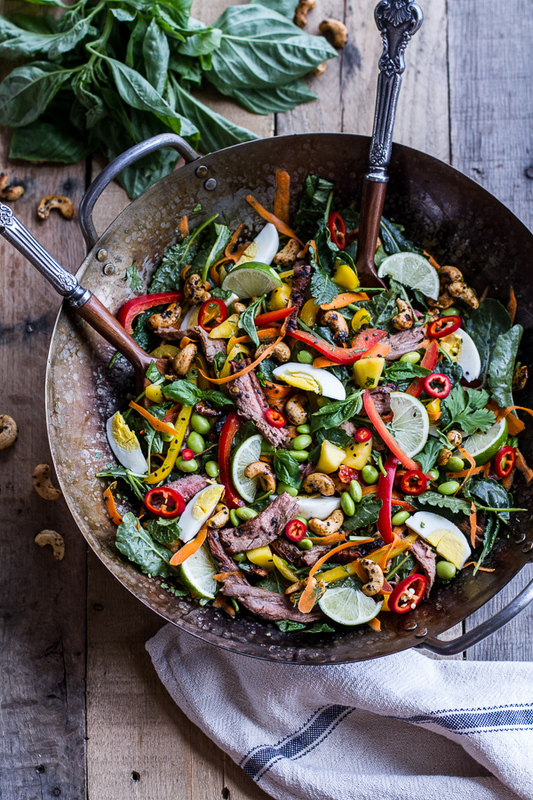 This salad is bursting with flavors and textures that is sure to bring everyone back for more! Via bulkherbstore.com. There is a lot going on in this salad. And all of it is delicious! Via halfbakedharvest.com. 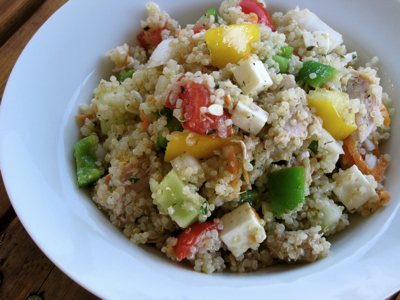 This salad offers a just a few seasonal treats, along with cold cooked quinoa. Isn’t it colorful? And it is oh-so-delicious. Adding chicken and cheese — or how about some diced hard-boiled eggs? — turns it into a main dish. A very easy meal, I’d say! Via TraditionalCookingSchool.com. 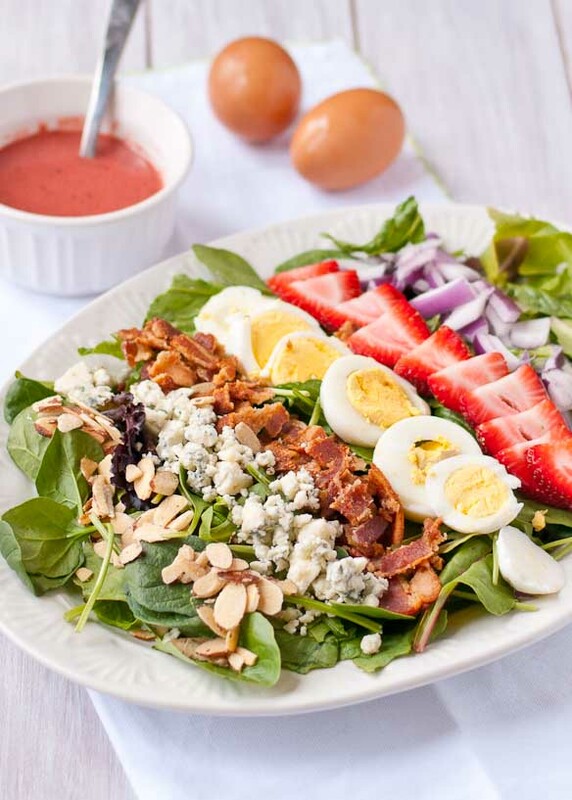 Strawberries, blue cheese, bacon, and red onion combine for the perfect springtime Strawberry Cobb Salad. Via neighborfoodblog.com. 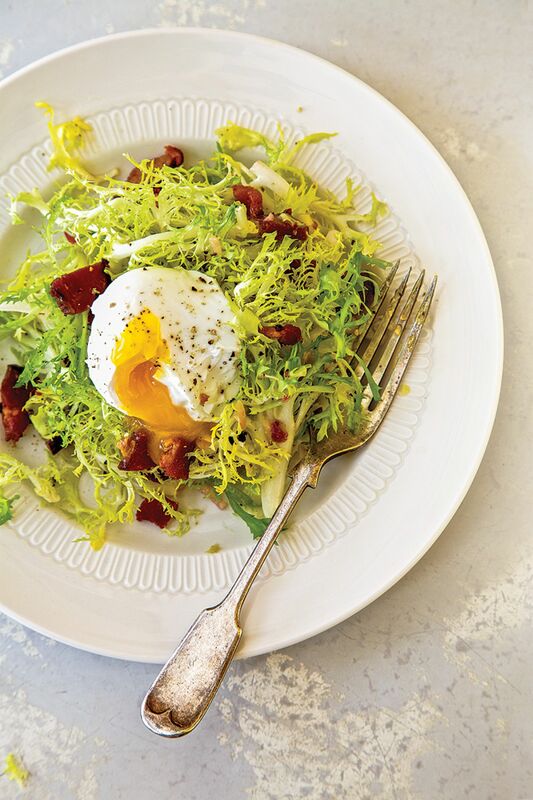 This French bistro standard gathers a delectable trio of bitter frisée, runny poached egg, and crisp lardons. 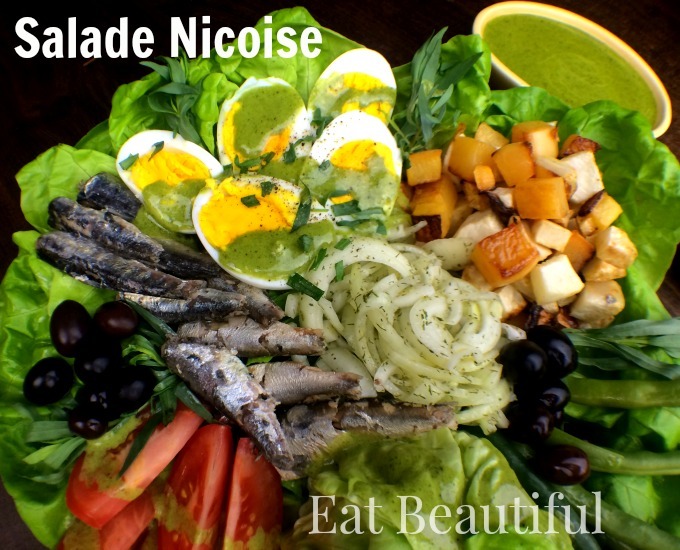 The salad gets an extra hit of pork flavor from emulsifying the vinaigrette with bacon fat. Breaking the yolks into the greens adds even more richness. Via saveur.com. 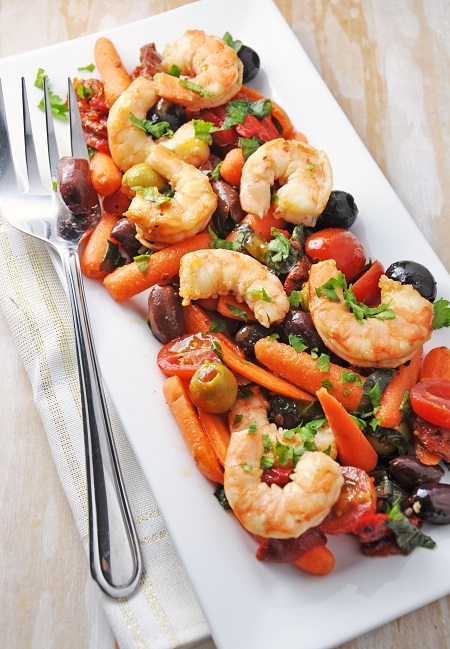 This Italian shrimp antipasto salad is gluten-free, dairy-free, and delicious. Via savoringthethyme.com. 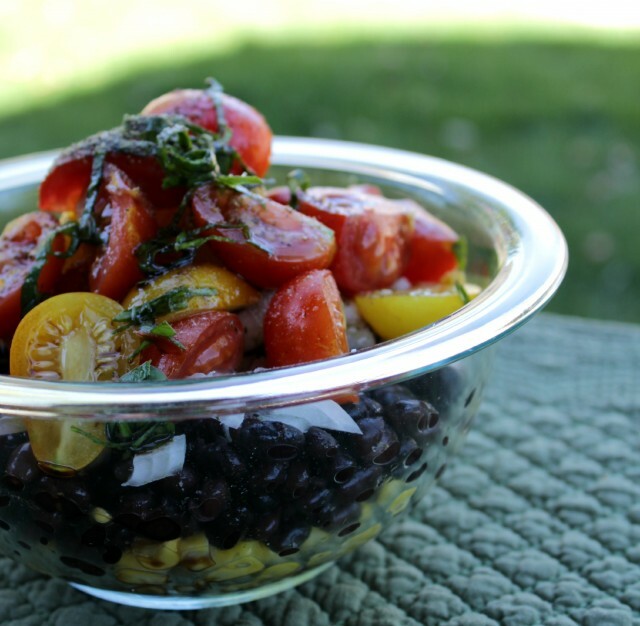 Combine sprouted lentils with your favorite veggies for this tasty salad. Via TraditonalCookingSchool.com. A little slicing and a quick shake of the dressing ingredients, and dinner is ready. 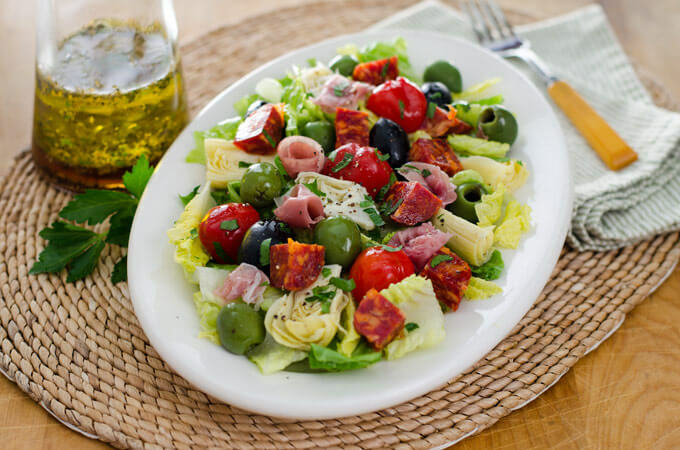 Antipasto salad is hearty and full of flavor — perfect when you don’t want to turn on the stove. Via cookeatpaleo.com. 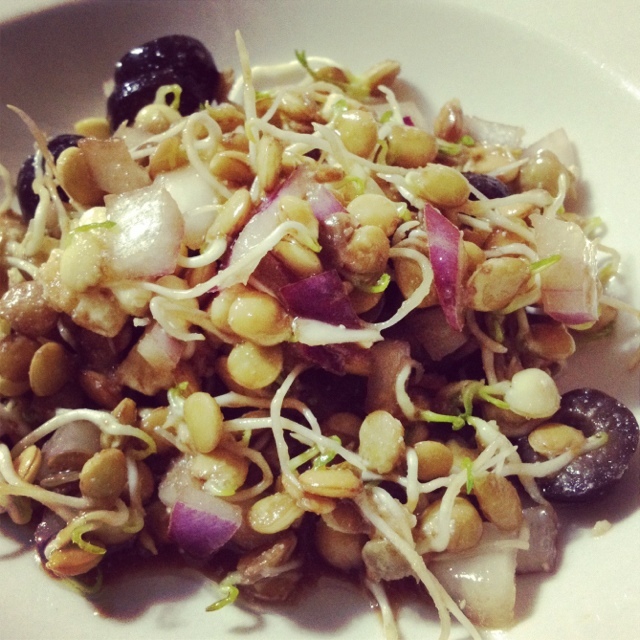 Make this bean salad when you're in a pinch and want something easy but nutritious. 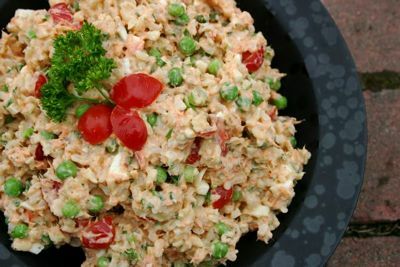 Serve on a bed of rice or in a tortilla, or just as side dish with any meal. Via foodrenegade.com. 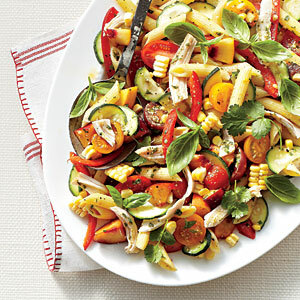 This salad is practically bursting with flavors of fresh vegetables, parmesan, and herbs. Via myrecipes.com. 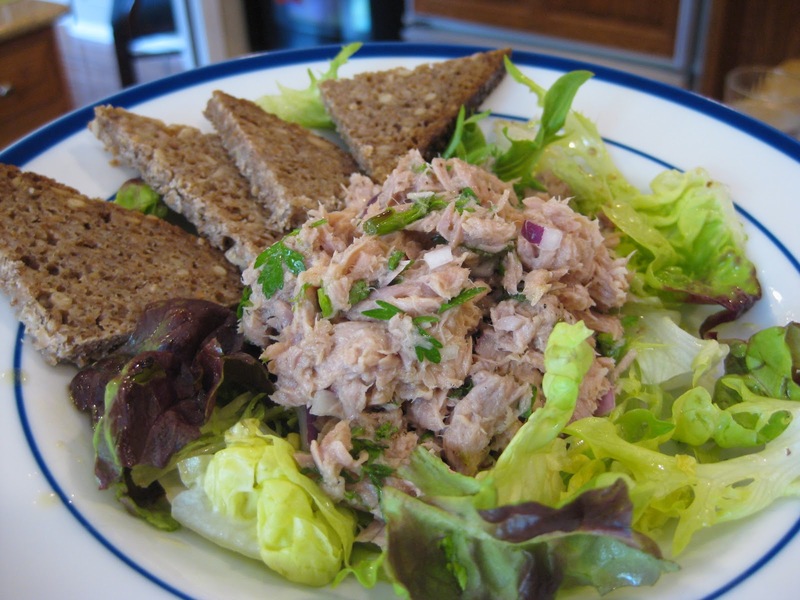 This recipe for tuna salad removes the mayonnaise and replaces it with a fresh herb, lemon juice, olive oil, and vinegar light dressing. Via sweetpeasandpumpkins.com. 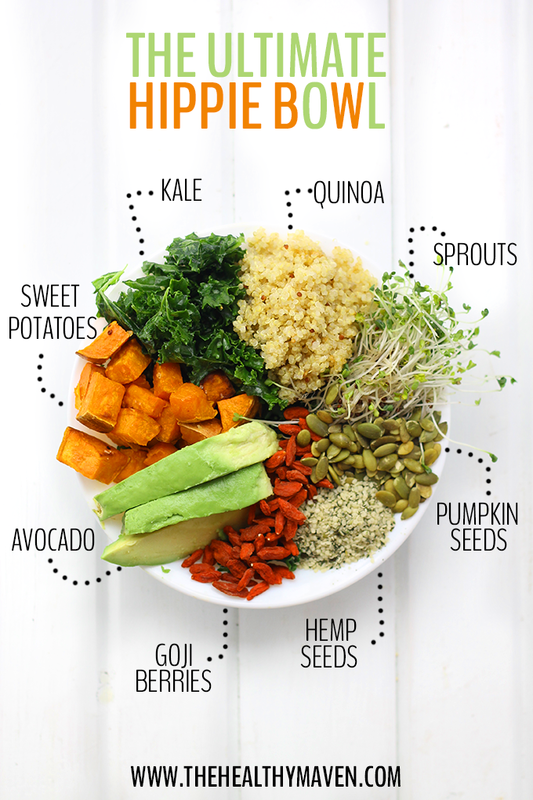 Every superfood you could possibly imagine all in one bowl with this Ultimate Hippie Bowl recipe. From kale to goji berries to hemp seeds this is your inner hippie’s dream come true! Via thehealthymaven.com. This delicious salad compliments a plate of salad greens beautifully and tastily fills a homemade flour tortilla. It will also hold its own as a light main course. Via TraditionalCookingSchool.com. 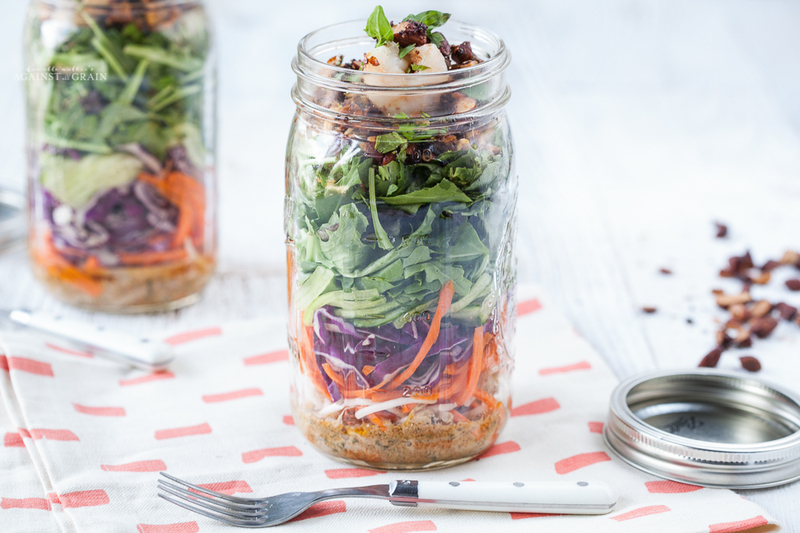 This Thai Green Salad with Shrimp and Spicy Almond Dressing won’t disappoint those of you with a palate for Thai food! 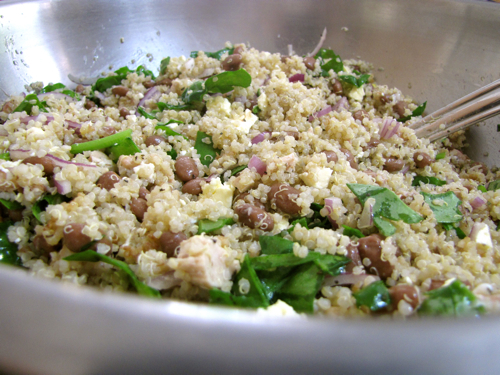 This is a great recipe if you’re tired of taking a bland lunch to work. Via againstallgrain.com. This salad may either be composed on individual serving plates or on one large platter, from which each diner can serve themselves. Via EatBeautiful.com. 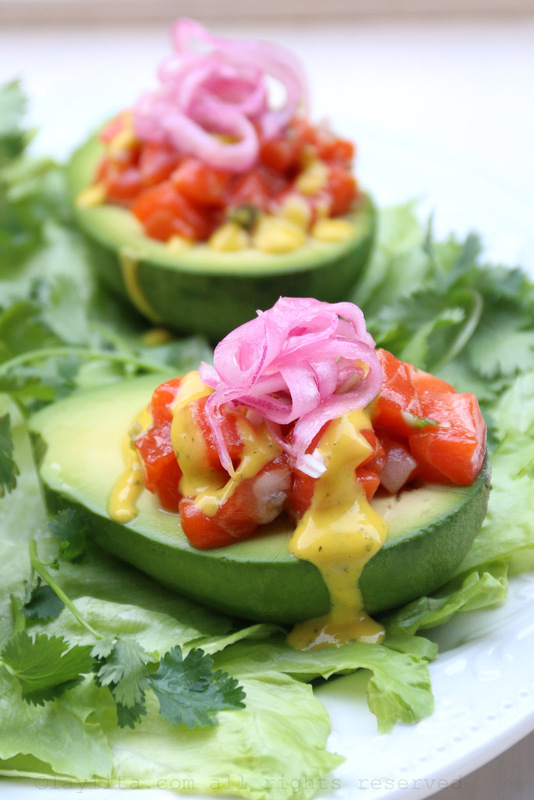 This is a delicious and easy-to-prepare recipe for avocado and salmon tartare with mango habanero sauce. It can be prepared and served three ways: salmon tartare stuffed avocados, avocado and salmon tartare in cocktail glasses, and patacones/tostones plantain chips topped with avocado salmon tartare. Via laylita.com. You'll love this simple recipe bursting with flavors. Via cookyourdream.com. 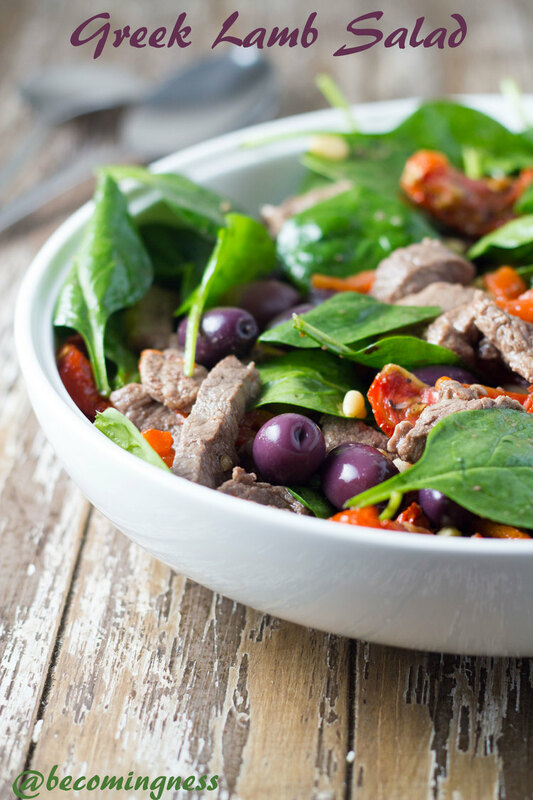 This Greek Lamb Salad provides a great mix of ingredients from a nutritional perspective — there's nothing unhealthy hiding away in there! Via becomingness.com.au. This is what you need when you want something blueberry that doesn’t involve pie. Via droolworthydaily.com. 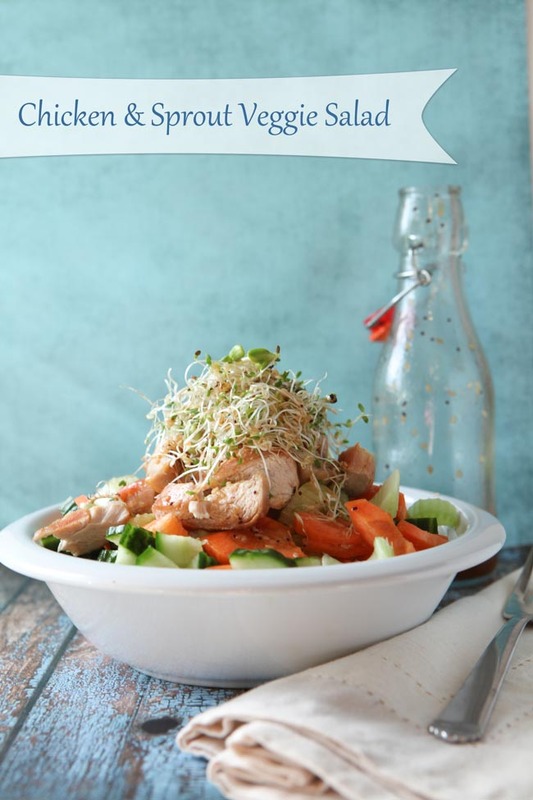 This is a great gluten free chicken main dish salad is a good standby when you want something good, light, and easy. Via mynaturalfamily.com. 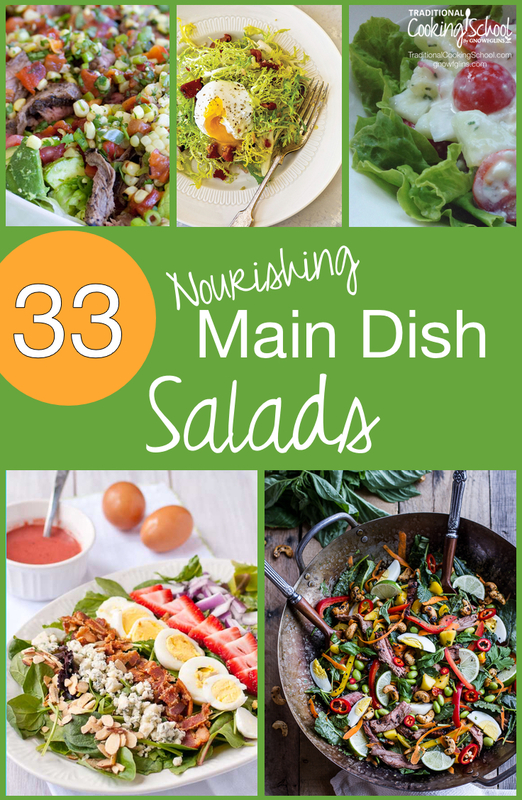 Which of these nourishing main dish salads will you be having for dinner tonight?